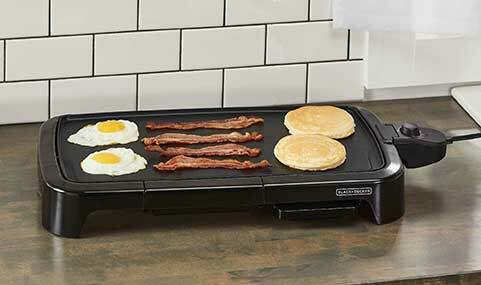 The BLACK+DECKER™ Family-Sized Electric Griddle combines fast and even heating with variable temperature controls, making it easy to create all your breakfast favorites—from bacon and eggs to pancakes and hash browns. 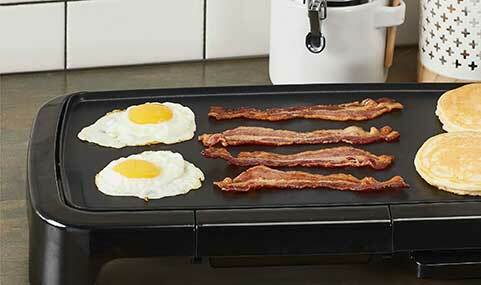 This updated griddle comes with a built-in warming tray that lets you store cooked foods while you complete the meal. Everything comes out together at the perfect temperature. Plus, the large non-stick surface and slide-out drip tray make cleanup a breeze. The durable non-stick cooking surface allows for easy cooking and fast cleanup. Excess grease and fat drain into the removable tray for easy disposal. The slide-out warming tray lets you have everything hot and ready for serving. 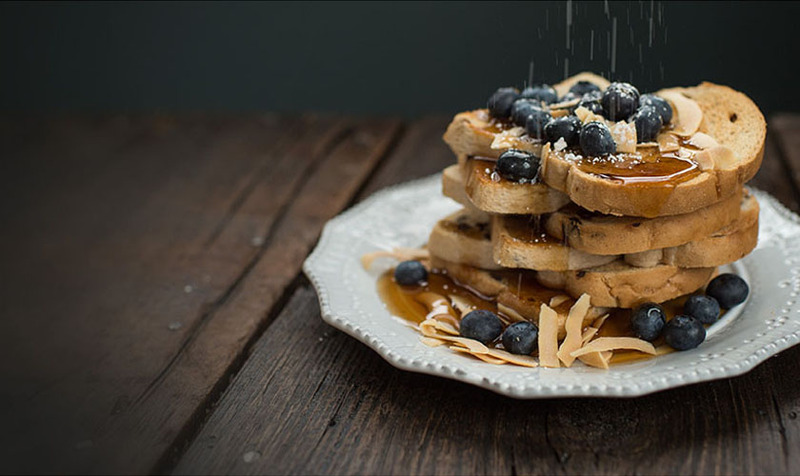 Just move cooked foods into the tray while you prepare the rest on the griddle surface. Cook for the whole family! The 8-serving cooking area offers 200 square inches of griddle surface for all your breakfast favorites. 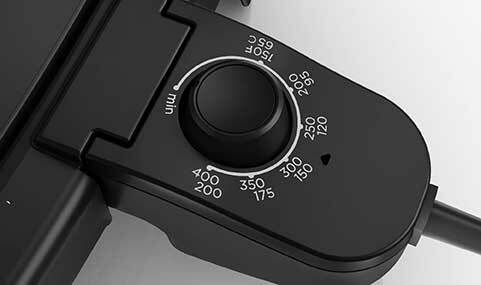 The removable probe features an adjustable temperature knob, providing the ideal heat for every cooking task. The cooking surface heats up quickly without hot spots so you can start cooking fast with even results. 8 Serving Nonstick Electric Griddle is rated 3.0 out of 5 by 1. Rated 3 out of 5 by freckles from a few problems I was not happy with the drip tray, it falls out to easily and there is too big of a gap between the griddle and the frame and makes it too hard to clean.